I’ve recently returned from my second ‘Young Researchers in Mathematics’ event in Cambridge, a city I never tire of visiting. 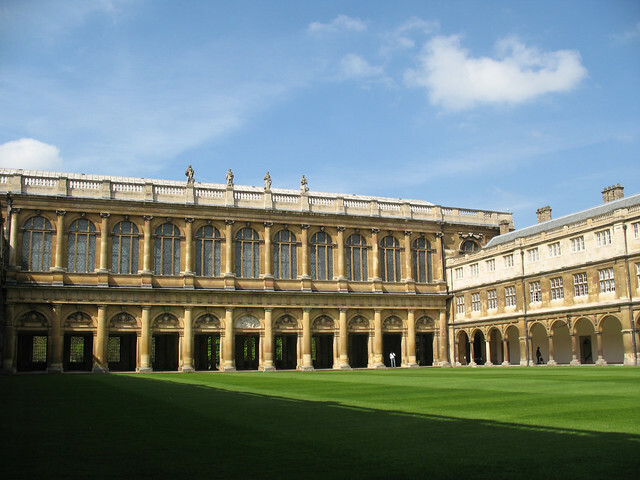 At over eight hundred years old, Cambridge University has more history than some countries, so there are plenty of mathematical connections to be found as a result- I thought I’d share just a few of them today. As I wrote last time about a Mathematical River, it seems sensible to start with this ‘Mathematical Bridge’! Popular myth asserts that the original design was so clever that it was held together simply by gravity, a feat attributed to anyone from undergraduate students to Isaac Newton, depending on who’s telling the tale. But (the story goes) when perplexed Fellows dismantled the bridge in an attempt to understand its construction, they were unable to put it back together again without resorting to using the nuts and bolts which can be seen today. Sadly, the bolts have always been needed, although as first built (in 1749) they were invisible to those crossing the bridge – and it is at least true that it didn’t require any nails! 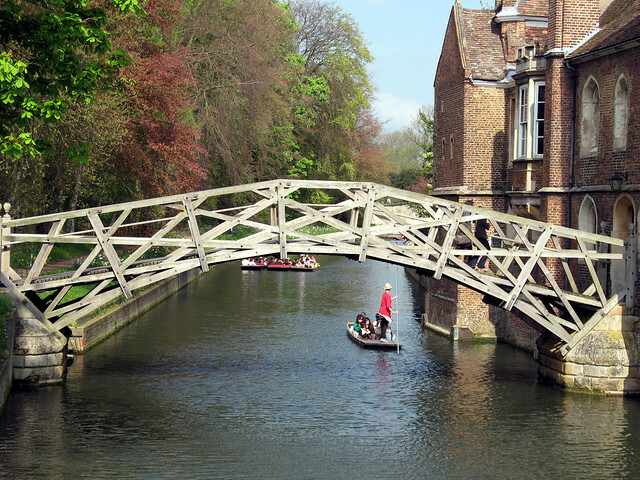 It’s unlikely, then, that Newton had a hand in the mathematical bridge, since he died twenty years before it’s construction, but that won’t dent his mathematical legacy too much. Trinity College has always had a strong mathematical reputation, admitting almost a fifth of undergraduates in the subject (of 31 colleges in total), with Newton easily their most famous predecessor. He measured the speed of sound in one of the courtyards; the library holds his annotated first edition of Principia Mathematica (and a lock of his hair! ); and the tree outside the main gate is claimed to be a descendant of his famous apple tree. Until the mid-20th century, there was no central mathematics department, and instead work was done in the colleges. 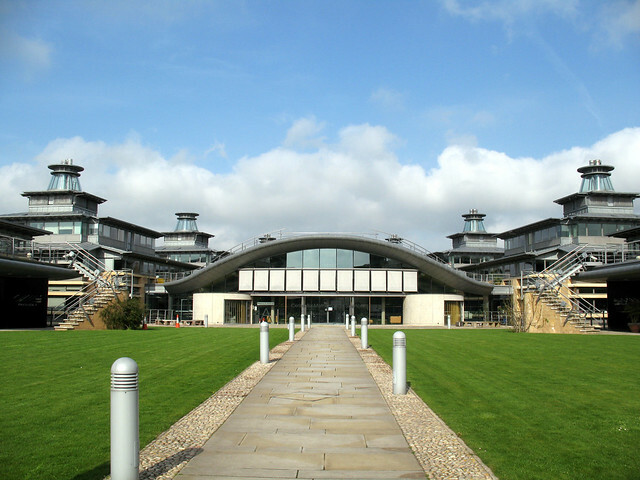 Today, however, research activity is concentrated at the Centre for Mathematical Sciences. It’s often joked that to find the mathematics department at a university you should look for the ugliest building, but the CMS, which opened in 2003, is a world away from 60s brutalist concrete. The ‘low energy’ design exploits natural ventilation to control the internal environment, and it’s green in a more literal sense too, with the main core having a grass roof. But it’s clearly a building meant for mathematicians, as the first things the architects were asked to design were the coffee rooms. Like the city it resides in, it’s a wonderful place to contemplate mathematics, and I hope I’ll be back again next year.